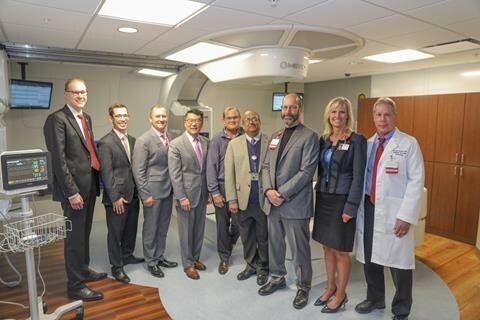 Home to the largest and most comprehensive radiation therapy program in Oklahoma, the Stephenson Cancer Center at OU Medicine has commenced proton therapy treatments with its MEVION S250i Proton Therapy System with HYPERSCAN Pencil Beam Scanning. Cleared by the FDA in 2017, HYPERSCAN improves on existing scanning capabilities to deliver conformal fields of therapeutic radiation to tumors faster, with more precision and is the most advanced form of pencil beam scanning available today, as described in a press release. University of Oklahoma Stephenson Cancer Center begins proton therapy treatment with Mevion S250i. Appl Rad Oncol.